Point and Click games are still alive and when seeing Trüberbrook, we are very lucky they are. Thanks to its unique art style (look at those landscapes) and interesting story, btf's title is definitely worth checking out if you like the genre. If you don't believe us, take a look at our 2 4K videos, which should suffice to prove you the game's atmosphere and visuals are unique to say the least. Already had this in my Wishlist, the style reminds me a lot of Wallace & Gromit, which is absolutely a plus. We should have more games emulating that type of art style like Neverhood and Skullmonkeys. I just have to finish a few games first, then I will check this out. Man... Gaming is in its Golden Age, because so many goddamn great games to play keep getting released constantly - and so little time. 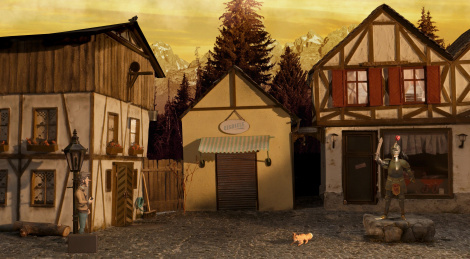 I did finish Trüberbrook last week, loved the handcrafted environments, had few good laughs, enjoyed it through it is short and easy adventure. I have Harold Halibut on my Wishlist as well, but thanks for the tip.